We use passwords to keep our information safe and secure. We log on to many websites and accounts which has personal and confidential information. Most of us also have the same password for all the services we use. If the password of one service got hacked, then the other will be in danger. Suppose, if we have different passwords for different services, then we may end up in forgetting some of them and we will be in problem. So, to overcome this problem, we need to use Password Managers, which would save all our passwords of all services with encryption. 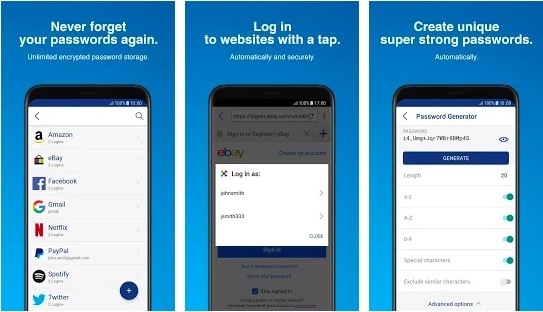 If you are an Android user, then it also allows you to log in to some websites directly without you entering the password again and again. This gets sync all over your devices and can be accessed from any device. Here we are listing best Password Managers for Android for secure storing of passwords. 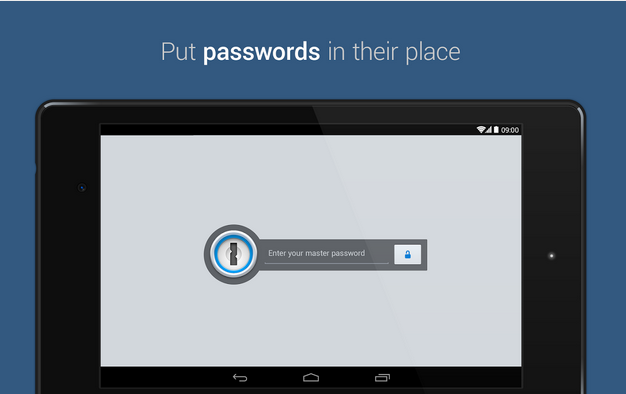 Here is the list of best password manager for Android. You can use any of these password managers to keep your password safe and use when it is required. 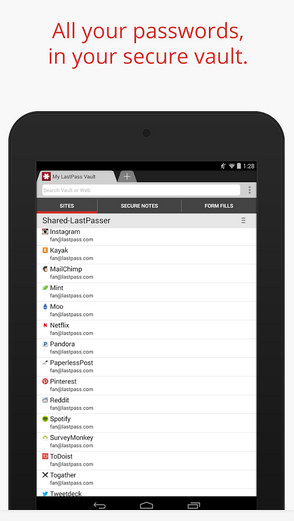 LastPass Password Managers is simple, fast and easy to use. It syncs your password with all your devices and browsers within them. When you visit any website, whose login information is with LastPass Password manager, then it automatically fills the login details. This is said to be the best password managers. It is for free of cost and the premium is 1$ per month. The free version of the app allows you to sync your passwords and data across all your devices. The app also comes with password generation, site logging, and two-factor authentication. You can also keep your passwords safe using a fingerprint password. This app is also available for iOS and Windows as well. 1Password does the job of creating and saving the passwords which are strong and very hard to hack. With just a single tap, you can log in to the website and that too securely. Among many password managers for Android, this is said to be one. It syncs from 1Password to other devices. You can also set a master password to secure all your stored passwords. The app has support for team and family accounts. You can share your content with trusted contacts as well. The app is free for 30 days but requires subscription once the trial period is over. 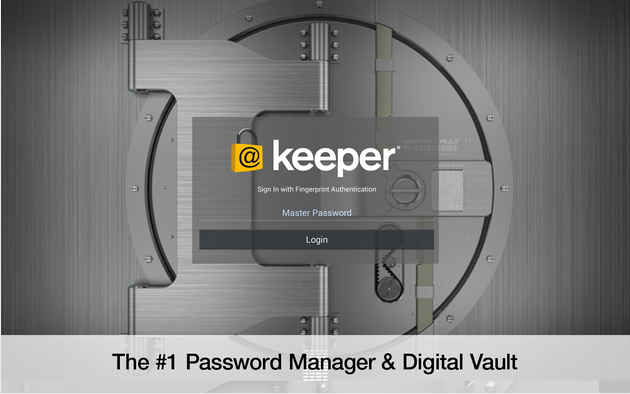 Keeper Password Manager is good at managing all your saved passwords regarding websites and other online services along with vital information on your tablets, PC and mobiles. It secures your information related to passwords and syncs them all your devices. It uses AES-256 encryption with PBKDF2 and offers unlimited password storage. You have the facility of sharing the keeper records with other trusted person with encryption. It is available for free of cost. 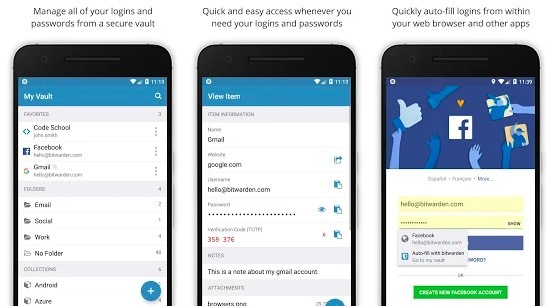 Dashlane is a powerful password manager available for Android. This password manager protects your passwords by keeping them encrypted using AES-256 encryption. It keeps all your passwords safe in a password vault keeping safe with a single master password. It is also available for Mac, PC and iOS platforms as well. This app offers features like automatic password generation, fingerprint login, a security dashboard, and security breach alerts. This app also brings a full-featured digital wallet where you can store credit cards, bank accounts and IDs. The app is free to download and comes with no ads. 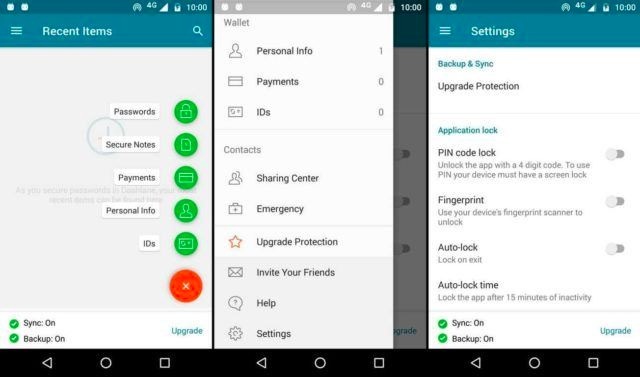 There is also a premium version of the app with extra features like back up your data and sync it across unlimited devices. Enpass Password Manager is also a good password manager app. It offers most of the features in the free version of the app, so you do not need to go for premium version until you badly want premium features. It allows you to save your password data on a separate cloud service. It comes with an inbuilt password generator and browser. Not just your password, it also keeps your credit card, license, finances, notes, and other information. You can also keep your data safe using fingerprint lock. The app is available without any ads. In the free version of the app, you can only save 20 passwords. Bitwarden is a newer entry but worth enough to try. 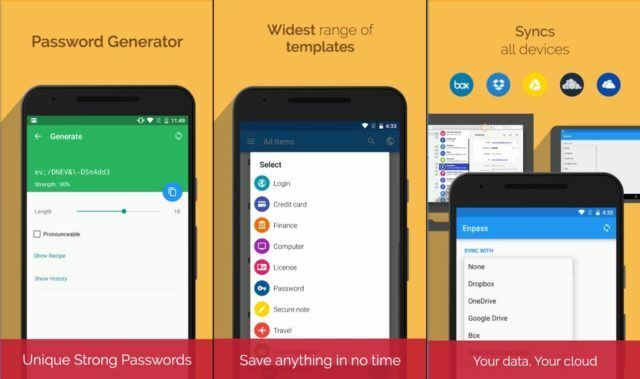 This is a free password manager app that keeps your passwords safe. It includes AES-256 bit encryption, salted hashing, and PBKDF2-SHA-256. The app supports Android’s Autofill API for quick login on services you want. So you also don’t need to remember your password. It will autofill at the login screen. The app is totally free and open source. So, you can host your own password sever if you want. Sticky Password is a multi-platform password manager from the creator of popular antivirus AVG. Sticky Password is a free password manager that includes a password generator, AES-256 encryption for keeping your password safe and an easy to use interface. It remembers all your passwords and autofill when you browse. You only need to remember only one master password. In premium version of the app, you can get Premium features like Cloud sync & backup, Local Wi-Fi sync, Secure password sharing and more. Here was the list of best password managers for Android. If you think managing lots of password is really tough for you, you can use any of these password managers to keep your passwords safe and login security on several services in one click. If you have any more apps, please do share with us through comments.